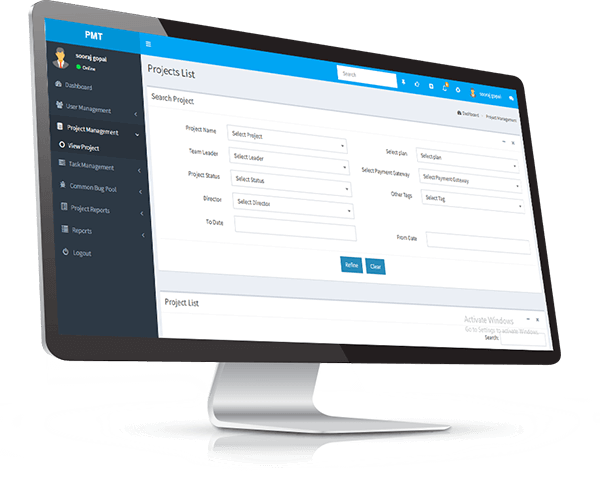 Ensure the successful delivery of projects you undertake with our Project management Tool (PMT). 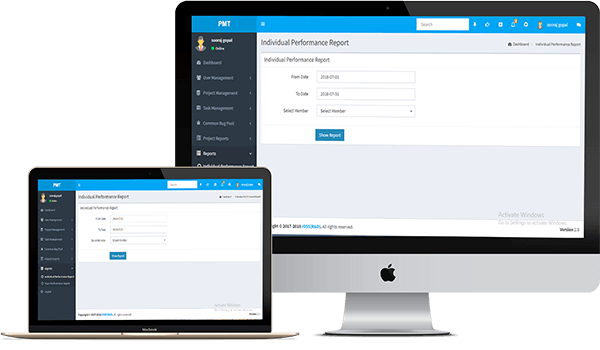 In a time, every industry is driven by technology, PMT is the key to your organisational efficiency and effective time management. 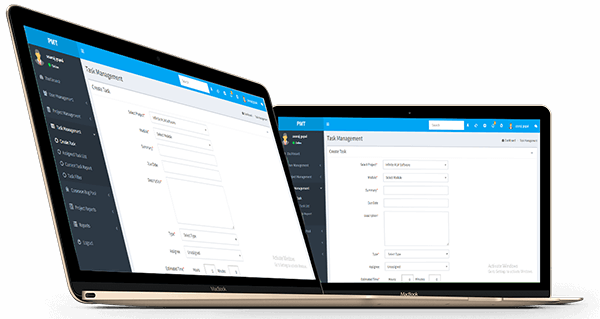 Developed with the aim of assisting an individual/team to organize their work effectively and manage projects and tasks more efficaciously, our PMT has an entirely user friendly interface and a highly scalable design. Keeping in mind the need for right management and effective utilization of time at all levels in an organisation, we have designed the PMT in such a manner that it is entirely customisable and can fit the needs of various departments of different sizes having distinctive duties and different goals to be accomplished. Have a look at the salient features of our PMT from the point of view of the employee as well as management. An authorized person will have the option to add a project. He/she adds new projects into the tool as and when they arrive. Each project will be divided into modules corresponding to various departments of the company, where the authorised person himself executes the task or assign it to other members of the company. He can divide the lifespan of the project between the various modules and can assign the time allocated for that module between various members of his/her team corresponding to the intensity of the particular member’s duties and responsibilities in that project. The team leader or any person who has an authority can assign tasks to the team members and specify the time for completion it. He/she can also monitor the progress done by each team member on their respective tasks. The admin can monitor the progress of the activities in each module and can add more time for completion, if required. All the members can record the progress of the activities allocated for them and the admin can view the overall rate of progress of the project anytime. The manager can have a view of what task each member of the team is on and if any employee doesn’t have a task in hand at the moment. This ensures that he/she is utilizing their team to utmost potential. 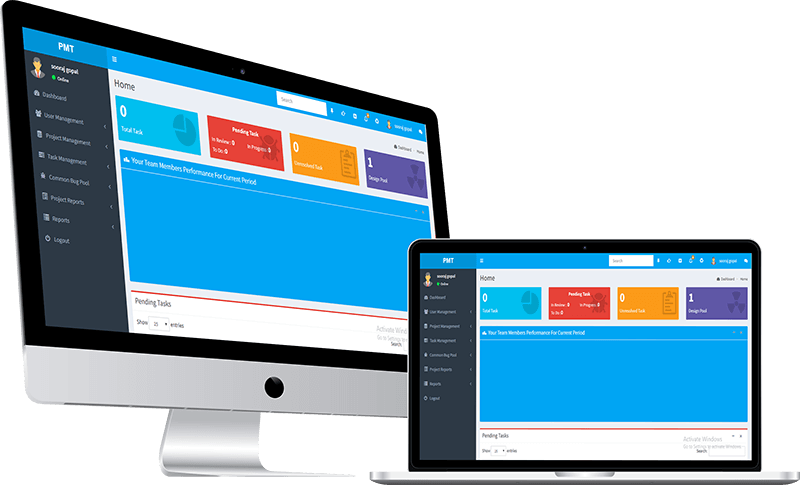 The PMT software can be customised as per the needs of each company and the kinds of project they undertake.